"Lace" - Santa Monica. Shot with my Ricoh GRIII and flash. When it comes to street photography, I am always open to new ideas and styles. One technique I have been particularly interested in is shooting street photography with a flash. 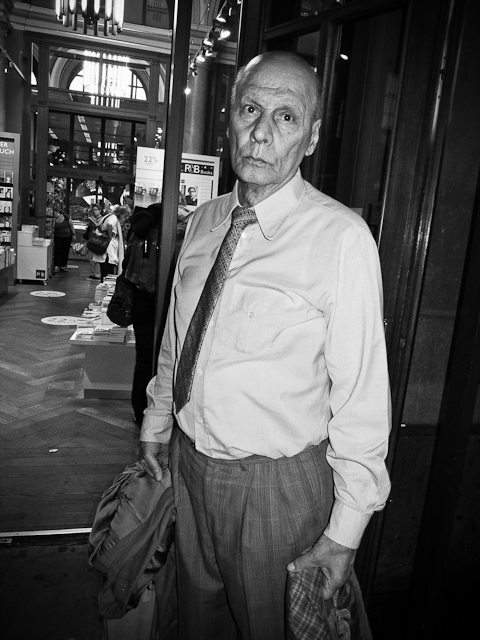 I have been very inspired by the work of Bruce Gilden and Charlie Kirk. Although this style is quite controversial, I think that shooting with a flash does add an extra dimension to an image, and isn’t quite as unethical as most people claim it to be. 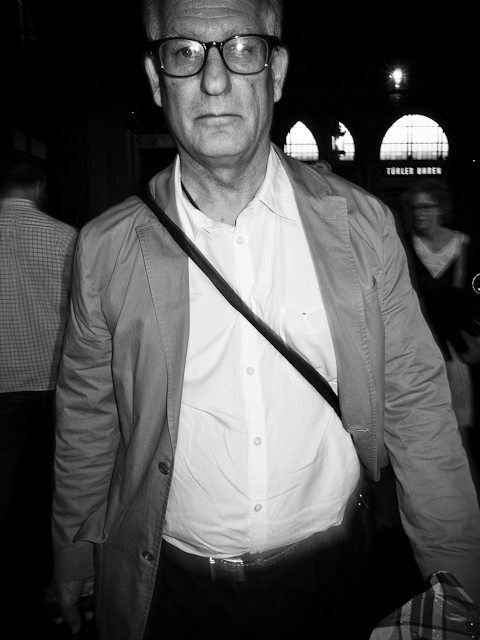 After all, it was Bruce Gilden who said, “…the people I shoot in the streets are my friends” and Charlie Kirk who says he shoots “…openly and honestly.” Therefore the last three or so weeks I have been shooting street photography with a flash, and with great success. I will discuss my technique of shooting street photography in the streets with a flash, with special emphasis on mindset as well as technical settings. Read more if you are curious. 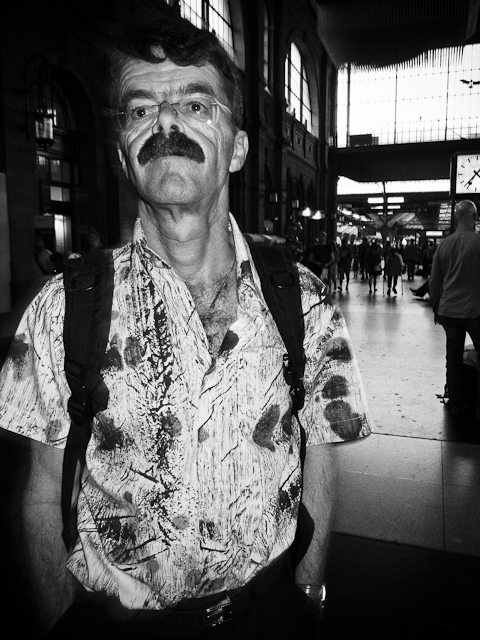 The first time I saw the video of Bruce Gilden shooting his subjects in New York City with a flash (watch video above) I remember thinking, “Wow, that guy has massive balls. I wonder if he ever gets punched in the face for doing that?” I thought that I would never have the guts to do something like that. Once I saw his images, I was even more impressed. When shooting street photography I hate shooting in the shade or when there are heavy shadows. It obscures my subjects and I lose that extra dimension of them. However by shooting with flash, Gilden was able to illuminate his subjects and show a bit more of their soul. 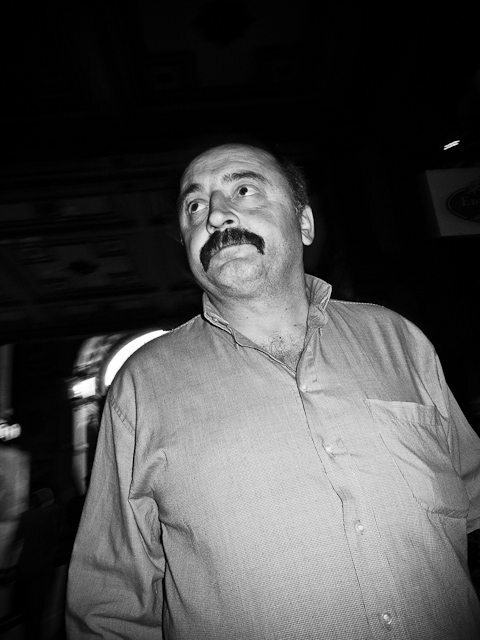 Bruce Gilden and Charlie Kirk shoot street photography in a particular way. They both shoot with Leica’s, a wide-angle lens, as well as a cabled flash. 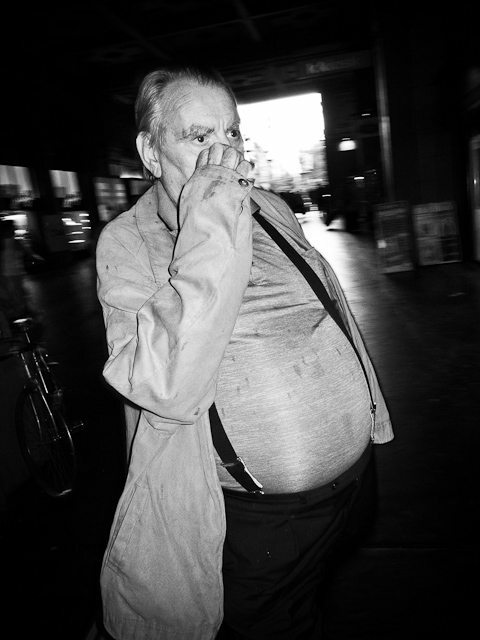 To be specific, Bruce Gilden shoots with a Leica M6, a Leica 21mm f/1.4 Summilux-M, and a cabled flash. Charlie Kirk shoots with a Leica MP, a Leica 28mm f/2.8 Elmarit-M, as well as an SB-900 off-camera and the SF24D on-camera. I don’t have any off-camera flash available, so I tried using my on-camera flash with my Ricoh GRIII. 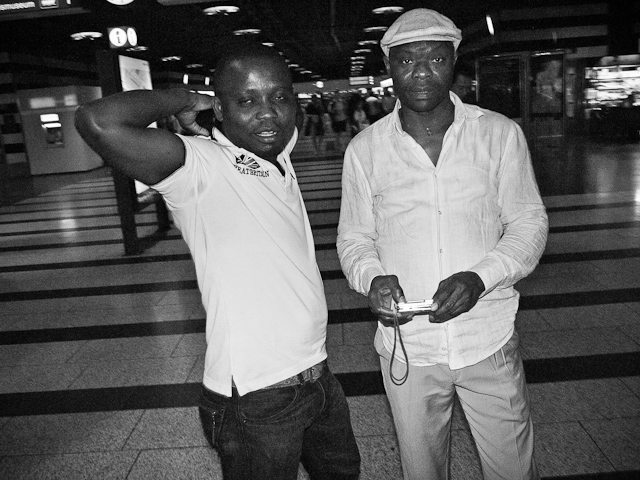 A couple of fellows I shot in the subway in Zurich, Switzerland. When it comes to street photography, there is only so much reading and research you can do on it until you actually hit the streets and try it out for yourself. The first day I went out to shoot, I took my Ricoh GRIII and decided to use the built-in flash unit in the camera. I wasn’t quite sure what to expect, and was unsure whether I would get cursed out or punched in the face every time I took someone’s photo with a flash. To be quite frank, I was very nervous about shooting with a flash as I have never done it before. The first day out, I set my camera to an ISO of around 800 and set the aperture to f/8 and let the camera do the rest of the guessing. I remember trying to shoot my first subject and having them totally out of the frame, as there was a slight delay with the flash. I noticed the flash was about half a second delayed, so I took that into account and started shooting half a second earlier before people entered my frame. I held my camera vertically in my right hand and as people were walking by, I shot the flash straight at them. To my surprise, not much people seemed to notice or care. Not only that, but the flash was pretty damn bright for such a little unit. I was curious and continued shooting on the streets. I continued to shoot the entire day, and found my most interesting images taken in the shade or where it was dark. It helped illuminate my subjects and really give them a “3d” look. Contrary to what I thought what would happen (people would be generally pissed off and beat me up) most people were totally oblivious. I think I heard one person say, “Oh my gosh!” but that was about it. Nobody stopped me and asked me what I was doing. At the end of the day, I got a handful of pretty decent shots and started wondering why people didn’t notice me shooting street photography with a flash. When Bruce Gilden is out shooting in the streets, he explains that most people don’t seem to notice because they are “…lost in thought.” I find this happening to myself very often when I am walking on the streets. I am thinking about my day, my finances, the work I have to do, the people I have to see, or the emails I have to catch up on. Therefore when walking on the streets, I am not “fully present.” Therefore if someone walked by me and took my photograph with a flash, I would probably be a bit confused where the bright light was coming from, but simply shrugged it off and continued walking. When you think of tourists, they LOVE to take photographs with flash. After all, not too many people shoot photography during the day with flash. I am not sure whether it is because tourists don’t know how to operate their cameras, or they think that it makes their photos look better. So How Can I Shoot Street Photography With a Flash? Having never shot street photography with an off-camera flash, I am definitely not the expert when it comes to street photography with a flash. You are better off shooting Charlie Kirk a message on Twitter. However I can definitely offer some advice if you are interested in trying out this technique. I like to say that street photography is 80% balls and 20% skill. Why do I say this? It is not to downplay the importance of skill, composition, and photographic technique. Even if you are the bravest street photographer in the world and have no idea for framing or composition, you will take horrible street photographs. Rather, I believe that most photographers out there are quite adept at framing and shooting great images. 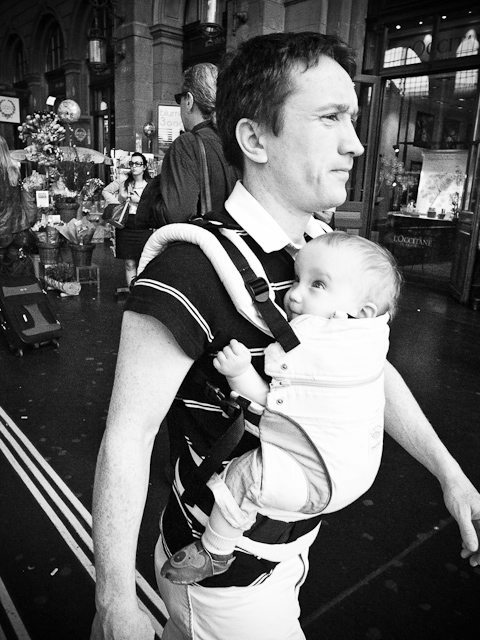 However the even bigger issue is getting over the fear of shooting street photography that we deal with. So to reiterate, it is extremely important to be a skilled street photographer, but even a more important issue to be able to get close and intimate with your subjects. Therefore if you are going to shoot street photography with a flash, the biggest barrier you have is the mental barrier. You might think its weird, obtrusive, or worried about how people will react. Through my experiment I found out that most people didn’t seem to care or mind too much. I am certain that you will have a similar experience. Once you find out and discover for yourself that people don’t act so negatively, shooting on the streets with a flash will be far easier. But of course easier said than done. Just go out and do it. When you are shooting street photography with a flash, it is important to get extremely close to your subjects. There are two reasons behind this: 1) You need to get close in order for the flash to be strong enough to illuminate them and 2) You take far more interesting images. Try using a focal length of around 24mm-28mm if you are on a full frame (17mm if you are using a crop camera). If you have a point and shoot, always shoot at the widest focal length. The settings on a flash don’t matter so much when you are shooting on the streets. I simply suggest you to keep your camera in “P” mode and let the camera do all the guessing in terms of the technical flash settings. If your images are too dark, simply increase your ISO. If you find your images too blurry, then you can dig into your camera menu and adjust the flash speed or your shutter speed. In my case, I found out that the auto-flash functionality of my Ricoh GRIII just worked fine. Shooting street photography with a flash isn’t definitely for everybody. Some people may have a problem with the ethics behind it, while others may not have enough balls to do it. However, I highly suggest every street photographer out there to try it at least once. One thing I learned as a sociology major in school is that we pay too much attention to social “rules” and norms in our everyday life and are scared to break them. However once we realize that these social norms and preconceptions aren’t truly “real” (such as the idea that shooting street photography with a flash will get you punched in the face) your eyes will truly be opened up. It is undeniable to say that flash does add an extra dimension to your images, and are quite fascinating to look at. 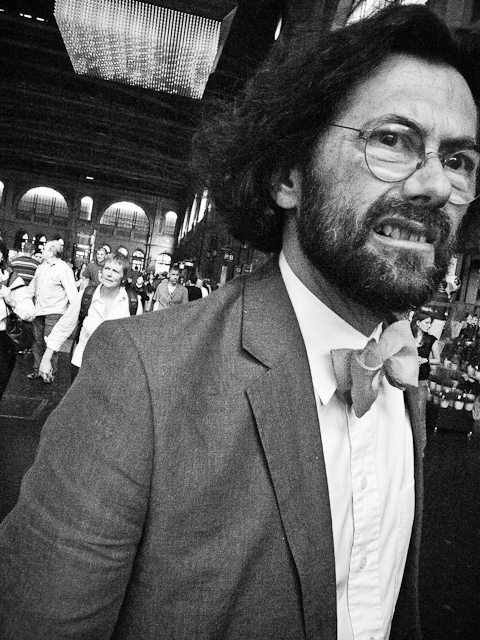 So do you plan to try shooting street photography with a flash, or are still totally opposed to it? Still have questions about the technique behind it? Leave your comments below!